Construction materials extracted by a crusher kept as stock on the bank of Sunkoshi River. 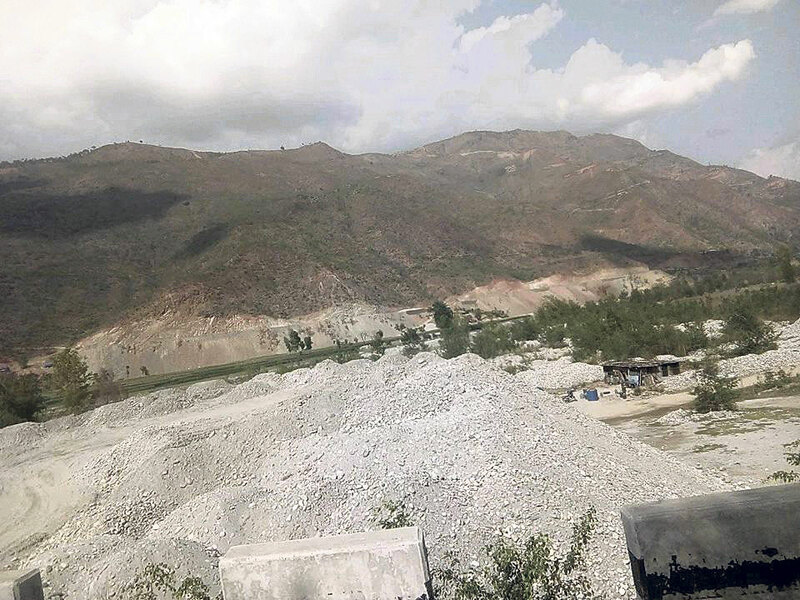 SINDHULI, June 9: In a bid to stop rampant excavation in Sunkoshi River, District Administration Office (DAO), Sindhuli has banned the operation of more than a dozen crushers after they were found operating against the laws. According to the concerned entrepreneurs, the DAO had urged the crusher companies to submit documents for investigation. After the investigation, the DAO immediately closed the operation of most of the crushers operating in Sunkoshi Rural Municipality. As the illegal excavation had caused a negative impact on the environment, the locals had time and again staged protests and also filed complaint at the concerned authorities demanding investigation. But still, not much has been done due to which entrepreneurs still enjoy their monopoly in excavation. "We have banned the operation of crushers which were operating against the set standards," said Chief District Officer Gyan Prasad Dhakal. There has been massive excavation in various areas of Sunkoshi River in Golanjor and Sunkoshi rural municipalities. The illegal excavation is done by none other than the kith and kin of the local representatives, claims Kapil Koirala, one of the locals. The haphazard excavation of crusher companies has not just developed large holes in the river basin but has also diverted the flow of the water. It has equally affected the beauty of the river. Especially, the entrepreneurs of Sindhuli and Ramechhap have been blamed for operating the crushers by breaching the standards. As per the locals, massive excavation started after the election of the local representatives. "It's just been a year," they say. Manoj Dahal, another local informed that the entrepreneurs are using extremely heavy machines for extracting construction materials. "It breaks our heart when we see the condition of the river. The river has almost changed its flow," said Dahal. He urged the rural municipality to concentrate on protecting the river instead of making plans to collect more tax from the entrepreneurs. "As of now, no crusher has been operating in Sunkoshi," said Dirbu Singh Moktan, vice chairperson of Sunkoshi Rural Municipality, adding, "But some will resume the operation after a few days." He further informed that some of the companies have been closed for for the time being for further investigation. However, this is not the first time that the monopoly of crusher owners has raised concern among the locals and government bodies. As the entrepreneurs won't be allowed to extract construction materials in monsoon, they have been trying their best to extract enough construction materials now to keep it on stock. Caption: Construction materials extracted by a crusher kept as stock on the bank of Sunkoshi River.